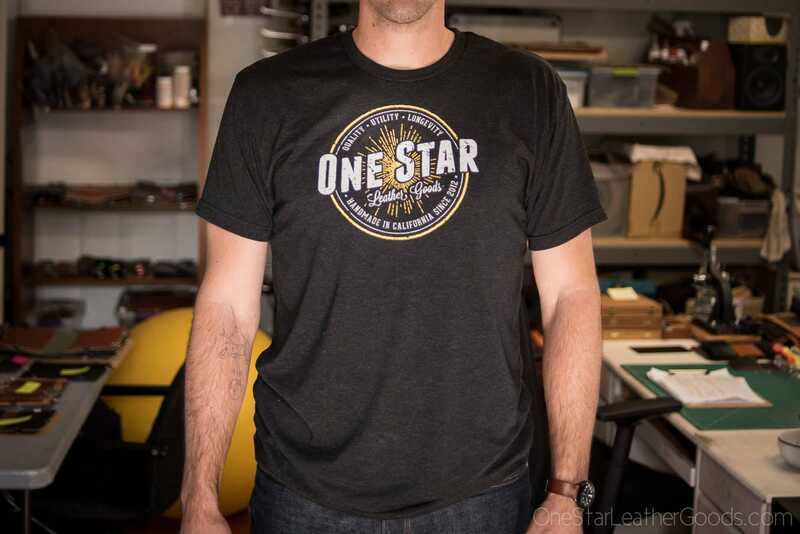 One Star Leather Goods T-Shirt. 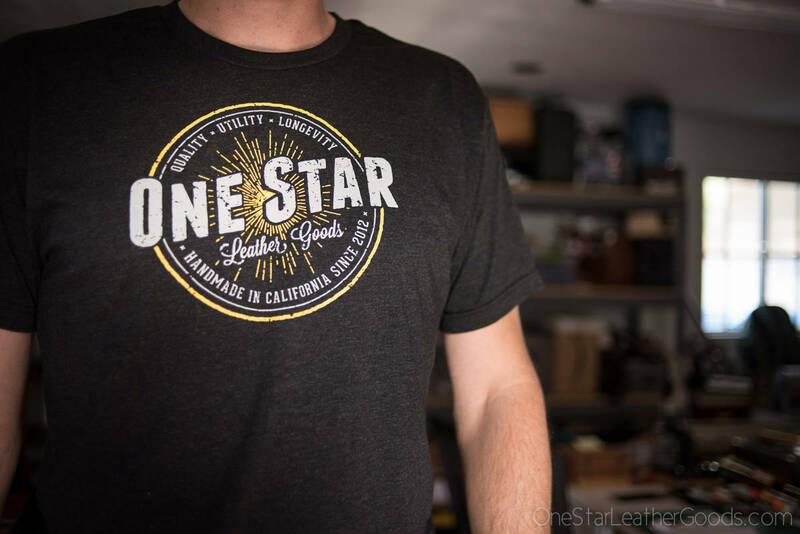 High quality Next Level tri-blend feels great and looks great. Logo on front, blank on back. Men's sizes are pretty true, maybe a little smaller than some T-shirts. If you are on the fence, order a size up. They don't make this shirt in a women's cut, but they said the Youth cut is very similar. So the youth sizes are also great for women. Someone who is normally a Women's Medium would order a Youth Large. The guy in the photos (me) is 6'5" and is wearing a Men's XL.